I have spoken at a variety of Real Estate Conferences on the subject of Search Engine Marketing. I had the opportunity to teach an SEO seminar with my partner Robin Nobles at the MGM Grand Hotel in Las Vegas. The Real Estate Professionals were from one major real estate agency and there was simply no way to help everyone even considering the vast auditorium there. That conference was pretty amazing with its over 14,000 real estate agents all in one place. There were hundreds of professional real estate agents all hungry for SEO knowledge and SEO knowledge is what we delivered in our allotted time. Only 10 days later we were invited to speak at another huge conference from a different agency. There were about 7,500 Real Estate professionals at this other event and it was in San Diego. The point is, at these conferences we gave the attendees as much as we possibly could in a couple of hours. Some of those same real estate people, still come out to our SEO hands-on Workshops wherever we teach, because of their desire to lead the way in one of the most competitive industries there is - Real Estate. In a minute I'll tell you about a brand new opportunity for Real Estate Websites within the Toronto and Greater Toronto Area. But first let me give you just a few very basic tips to get started. Just because your fellow real estate professionals understand “MLS” or “co-op” doesn’t mean prospects will. In my presentations around the country, I’m constantly struck by how many realty sales associates believe homebuyers search for “MLS listings” and therefore use that keyword phrase all over their sites. After you’ve developed a keyword list for your site, run it by some of your non–real estate business associates to help weed out jargon that’s meaningless to the average customer. Focus can be even more greatly shifted from just "keywords" to legitimate "search behavior." What do you suppose your home buyers are searching for if they are relocating? They'll be doing things as complex as "cost of living comparisons by City" they be looking for directional community maps they'll be interested in local Churches or perhaps where the public schools are located. What about crime rates, weather and other important statistics. Instead of spending all your time trying to find new keyword variations on “real estate in Hometown, USA,” expand the scope of your keyword options by focusing on what your prospective customers really want. Learn how to research genuine data for the wide open windows of opportunity that many others don't even seem to realize exist. Besides real estate, your prospects want “homebuying advice,” “home pricing tips,” or “Hometown, USA maps.” Learn what information customers most frequently access on your site and then start using those words in metatags, heading and body text, and links. It's surprising what a little basic knowledge will do when you add some strategy to your focus. One of the goals in successfully selling new Real Estate is to form new relationships with home buyers, home sellers and to put it simply, you need to be easily found in search results PLUS your Web site needs to be geared to setting you apart from the myriad of other competitors that are all approaching the Web the same old way. Regardless of where you may be in your search marketing studies or professional experience, I'm sure if you have had successful Web projects, that you'll agree that the more knowledge of SEO and SEM you have the better. The Web, even in its early infancy, was so much more than just an advertising opportunity. It was so much more than just about Web Design or just about e-commerce. How can I be successful in the search results today when it so competitive? Things are even much more competitive than they were just 2 years ago. How can I increase my genuine visibility in a crazy over-saturated marketplace where everyone now seems much more up to date on the basics of SEO knowledge? Plus there is probably the fact that (for some real estate professionals,) you don't want to monkey with Web pages, and you don't want to work on your Web pages because your job is really selling real estate and making money, right. When someone says that "SEO knowledge" is not enough in a competitive marketplace like real estate - they are in fact somewhat correct. But don't panic about that. There is something even greater than possessing great SEO knowledge. Think about it this way...If everyone possesses the same knowledge - exactly the same skills then it levels the playing field, right? You read about some marketer writing an article (every once in a while) that loudly proclaims "SEO is dead!" It's shocking - its unbelievable - its horrific you think to yourself, and they got you. Whenever I read this, I just smile because it is quite a clever attention grabber for an article headline if not too over used these days. And it could even that to the individual who is writing the article (based on their own experiences) that "SEO to them really does seem to be dead." Hear carefully what I am saying now...SEO is certainly alive and there are tremendous advantages that belong to those who keep themselves up to date. So why do I say that knowledge is NOT enough for the competitive markets? A few years ago knowledge WAS enough for most any competitive industry on the search engines. But that was because 99% of your real estate competition was in the dark. But now days, as more and more people learn a bit more all of the time and the same information is released to everyone and the same tools are available to anyone, then you have ask where YOUR competitive advantage is now? There is no advantage left if all you possess is knowledge alone. IF SEM knowledge is NOT enough, then what is the answer? The problem with the old slogan (you may have heard before) and I quote "knowledge is power" is that it sounds cool but it is not exactly true. When the competition escalates to beyond the heights of ridiculous odds, then knowledge by itself is not power at all. Even with the best knowledge on SEO in a competitive market - if the knowledge is spread around enough you need one more missing element that truly puts strategy back into the optimization mix. You need knowledge WITH Wisdom too! People may think of it perhaps as just semantics, but it is not. The missing ingredient in the highly competitive market which goes with "knowledge" is that of "wisdom." You say, "aren't they both the same thing?" Knowledge is not wisdom. Wisdom is not knowledge. Knowledge takes on MUCH greater value with the application of wisdom. Wisdom applies specifically to what you do with your knowledge and how you execute your strategies. I can tell you that SEO is not dead but there is a huge gap in the wisdom of how to apply that knowledge today. 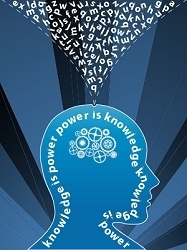 So possessing knowledge really is not power - without having wisdom to apply it. You've probably read the slogan that I use in many of my signature lines. I use to ask myself, why would anyone want to put up a Web site and not have it be found or become profitable? I would ask someone "Is your Web site a business or a hobby?" They would reply "It is a business, not a hobby." Then I would ask them "Is it making you money or generating leads for you?" They reply "No it's not." Then I would have to disagree that if your Web site is costing you hosting fees and not making you a profit, then it needs some attention. Only when it is making money or generating leads or fulfilling its purpose, does it become a business site. The truth is that so many people just did not understand the potential of Web. They had been given either bad information or wrong information or partial information so this is where I decided one of the best things I could do was to teach SEO and Search Marketing skills. I partnered with Robin Nobles back in January 2002 and then in 2005 we began to make our Workshops available in local communities across North America through the Search Engine Academy. Back in 2001 and 2002 there was no such thing as a "workshop" or a real world "school" that you go to study search engine marketing. Sure, there were Universities that had courses on "marketing" in general, but to this day, there are few places that really focus on genuine SEO skills building with no hidden agendas. I'm talking about some place where you can study proven methodologies. Now I told you that there was something brand new happening soon just for Real Estate professionals. Do you need some SEO skills training specifically just for a Real Estate business? Do you already have some SEO knowledge but are still struggling to get your Real Estate business some genuine business on a daily, weekly or monthly basis? Maybe you just want a little strategic wisdom to go along with your knowledge. Maybe you do not even work on your Web site yourself, but you'd like to get the facts so you can let your Web designer make the changes for you. Coming soon in July, in Toronto Canada -- I will be introducing a special new Weekend Mentoring Event just for Real Estate Agents and Realty Professionals. Come join me for a 2 Day Real Estate SEO Mentoring Weekend in Toronto - Ontario Canada. Come put a little more SEO wisdom into just one of your weekends with 12 Mentoring Sessions plus we'll top up your knowledge and make sure you are current. You don't have to be a Web designer to benefit from this knowledge - especially once we talk together for a couple of days. We'll give you the missing components as actionable steps that you can easily apply yourself - or you can instruct your Web designer to do for you. I promise that these Toronto Mentoring Weekends will lift your knowledge plus deliver that touch of wisdom so you can apply it and it'll be 100% just about you and your Real Estate Web site. Come join me, John Alexander with SEO educator Barry Byers and learn to apply a little wisdom to your business in Toronto Oakville - Ontario. John Alexander is Director of Search Engine Academy with SEO training centers located across North America and Asia. Together with his partner Robin Nobles, John is also Co-Director of Training for Search Engine Workshops. Together John and Robin teach stress free formulas for obtaining top visibility on major search engines to workshop students from all around the world since 2002. John and Robin also operate an online community for professional search engine marketers called the SEO Workshop Resource Center. 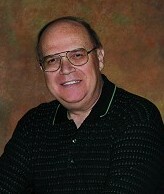 John is the author of the Wordtracker Magic E-books Volumes 1 and 2. Grab a free SEO Tip of the Day - It's Free!